London - Olympic Stadium 04.08.2015: West Ham United are getting ready to move to a new ground, the Olympic Stadium in London. The stadium was built to provide a venue for the 2012 Summer Olympics, with a capacity of 80,000 seats. It was designed so that once the Olympics were over, it could be rebuilt to suit the needs of West Ham United, a Premier League club. To this end, the capacity was decreased and the stands were moved closer to the pitch, through the former athletics track. 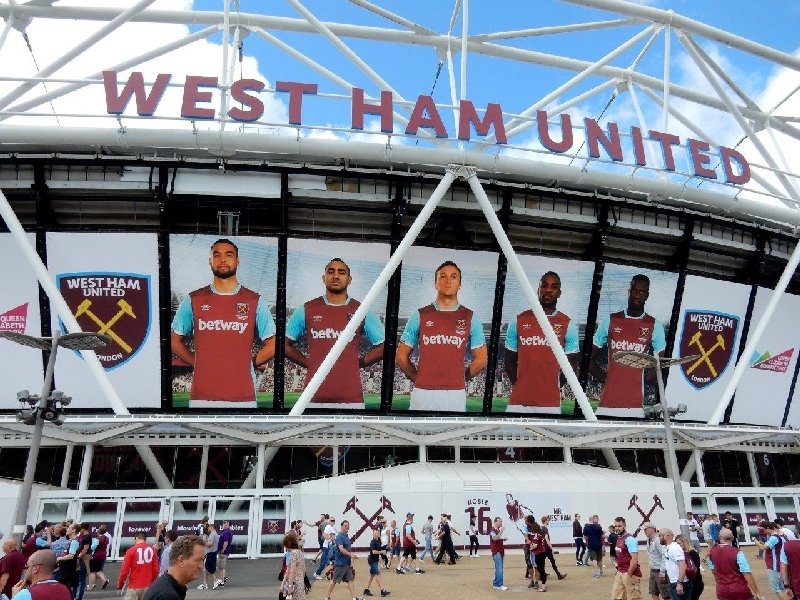 The capacity of the new West Ham stadium will be 54,000, but the new stands will not go directly along the pitch, as there still will be an athletics track. 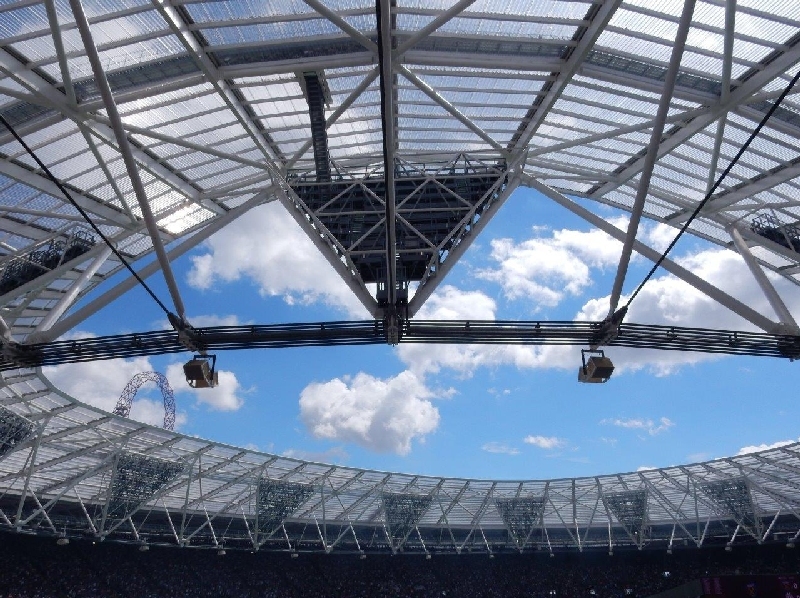 After its opening, scheduled to take place in 2015, the West Ham stadium will be the third largest stadium in Premier League, with a capacity of 54,000 seats. However, the West Ham stadium will probably lose its third place in the foreseeable future as the Etihad Stadium, the home ground of Manchester City, is currently being expanded. With a capacity of 62,000 seats it will become the second largest stadium in Premier League, the largest being Old Trafford. The club has a surprise in store for their fans, when they come to choose a new seat at the Olympics stadium. Season ticket holders, who had a seat reserved at Boleyn Ground, the former stadium, will be invited to the reservation centre to choose a new seat, using a 3D visualisation of the stadium. This will enable them to see what they would see from their chosen seat and they will also be offered an appropriate discount on new season tickets.